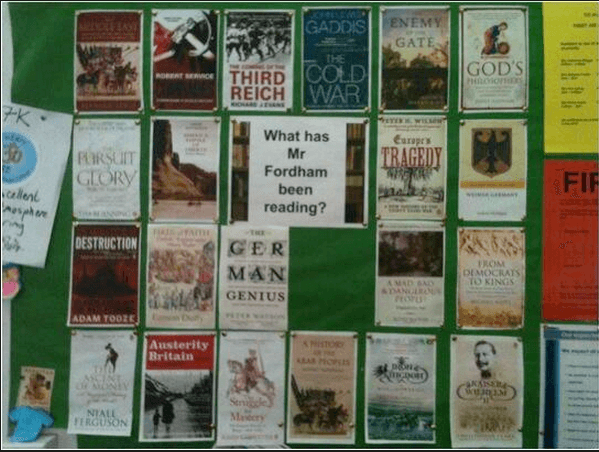 What's the point of classroom displays? Home/learning/What's the point of classroom displays? Having broken up for the summer and feeling warm and expansive, I foolishly asked Twitter what it would like me to write about next. Michael Oxenham came back, quick as a flash with “classroom display”. @tim7168 Also things that make the classroom ‘theirs’ (primary). Lots of photos, work etc. @benking01 Examples of best-practice from students and ensuring that the work displayed is more than just ‘pretty’ – Must be informative. @JamesTheo Anything that you refer to in teaching. Things that you refer to more than others are best, obviously. I’ve had stuff on my walls that I’ve never given a second thought to. That’s basically wallpaper. They shouldn’t, however, just be a memory aid for something they should KNOW. @kennypieper needs to be informative, helpful, clearly presented and, dare I say it, regularly updated. ‏@lordlumey If it’s in a primary classroom, something the kids will either refer to a lot or something that adds to the theme of the classroom according to the topic. @hrogerson you know it is good if the students look at it. @OhLottie Big Questions board – child led, used as a basis for science investigations, P4C enquiry or just a chat. @mfordhamhistory What has your teacher been reading? 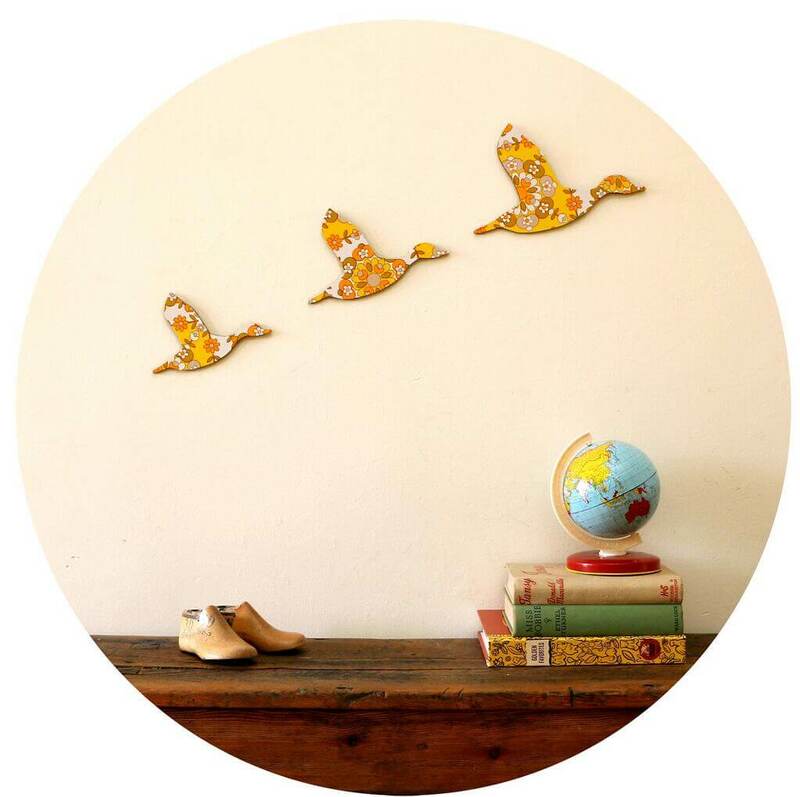 @enlimcharas As an MFL teacher, I quickly learned not to display things like numbers – children became too reliant on the walls. Now have grammar rule prompts and key questions to help children think about how to improve quality of work and GCSE mark schemes. Most of these responses were more or less what I might have expected, but I was really interested in James Theobald’s and Sarah Milne’s suggestion that simply allowing students to outsource their memory to the walls might not be a great idea. This wasn’t something I’d ever considered before. But as soon as I started musing it chimed with the theory of desirable difficulties I’ve been toying with. For those who’ve missed me holding forth on this, the theory is basically that if we want students to retain information in long-term memory and transfer it between domains we need to induce forgetting. Yes, that sounds completely counter intuitive but one thing I’ve learned is that you can’t always trust your gut. At the point at which we begin to forget, the theory goes, our brains are at their most receptive and we are most likely to absorb information if it’s presented again. One the many ways to induce forgetting is to introduce variability into students’ experiences. Why? Our memory very quickly becomes reliant on familiar cues. If we learn something in a particular room, our memories associate that room with what we’ve learned, and when we attempt to retrieve that information we use the cues in our physical surroundings to prompt us. So, unless you study in the room in which you will eventually be tested, your memory will be at a distinct disadvantage. But, if you learn in all kinds of different surroundings then the information will be retained without the reliance on familiar cues. Still with me? OK, so few teachers have control over the rooms they get to teach in, but we do have fairly complete control over what we put on our walls. This adds weight to the idea that seating arrangements and displays should be changed often. As James says, anything which becomes too familiar just becomes wallpaper anyway. So, what is the point of classroom display? Most people would readily agree that it should support students’ learning. If it fails this uncontroversial test, should we tear it down? And is beauty redundant? If so, how does this square this Ron Berger’s rallying cry that, “If it’s not perfect, it’s not finished”? It’s certainly true that some of the most useful displays have a charmingly homemade quality, and if we’re going to display students’ work maybe we have to let go our perfectionist ideals. I’ve always enjoyed getting kids to slap post-its all over displays as a record of what they thought or were capable of at a particular point in time. And I loved Alex Quigley’s post on using multiple whiteboards to make learning visible. Great display can often have a temporary feel, and clearly, the more easily it can be changed, the more likely we are to change it. I’m sure more research would turn up all sorts of alternative perspectives, but hopefully, dear reader, you can identify any gaps in my thinking and fill them with marvellous ideas of your own. I think the title question is a tricky one to answer because different displays can have different purposes. However, if we focus on a display that supports learning (as opposed to one that is essentially a showcase of final pieces of work), the question that I would really like the answer to is ‘ what makes an effective classroom display?’ My feeling is that often classroom displays are too crammed to be really effective, but I have no evidence for this. I would love some hard evidence of how to make the most effective displays that support learning. Yes, I chose the question in the title deliberately. I’m not so interested in what might make an effective display as trying to establish the purpose of displaying stuff.I would hope that displaying finished pieces of work would provide models which would support learning. As you say, some hard evidence would be useful. Hi David, I am new to blogging and somewhat to teaching as a Masters Candidate for Teaching. In reading your post I reflected on what I have witnessed as a substitute over the past five years. My favorites have been “topic of the month” displays that include hands on and reading artifacts for students to explore a topic in depth. Many middle level classrooms I have seen have been relatively boring to view. I always feel inspirational quotes would be great, if the teacher actually refers to them in the classroom as a motto or ties them to their curriculum. I agree that student’s projects always are nice, if presented in an organized manner. I asked my 9th and 6th grade children their opinions about classroom displays. My DD (15) says what caught her eye were cartoon graphics and art based projects. She also really enjoyed interactive displays with post-its. She would often review other’s posts and add her own. My DS (12) is less interested in displays and barely notices them except in his favorite science class. The posters of the periodic table and other cartoon based posters are interesting to him. Your post gave me pause to think about the effect of displays and how I will use them effectively in my future classroom. I will ponder your question and plan with it in mind. It strikes me that a lot of classroom displays are ineffective because they are essentially invisible. This invisibility can be due to size (try reading a exemplary essay written in 12 point from the back of the room), the aforementioned ‘wallpaper’ effect, or a lack of interactivity. IMHO, a good display should be visually striking (dare I say aesthetically pleasing or provocative) and in a constant state of interactive flux. Perhaps a good display should be focused around key questions rather than simply information, answers or keywords. I’m interested in hearing ideas for displays which encourage students to adopt a growth mindset without resorting to platitudes and motivational business jargon. Because for children learning is a habit of their daily lives, in everything they do, in every step they take learning is always in the picture and it will be consider as a tool for them at their early age.